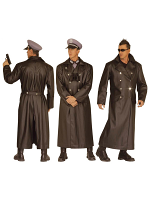 We have loads of 1940s Fancy Dress Adult Costumes items in stock and at great prices, from Private to Pilot, perfect to celebrate the anniversary of the end of World War II or dancing to Big Band sounds, Vera Lynn and the Boogie-Woogie Bugle Boys! 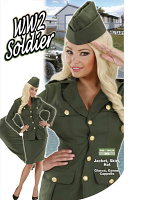 Whether your favourite is American GI or Dad's Army, we have a selection of uniforms and 1940s outfits for men and women: land girls, WAAF, WRAF, RAF, home guard & more. At Novelties Direct, we love dressing up and if we don't have the Adult Fancy Dress Costume that you want, we would love the opportunity to get it for you - call us!